Price per 1x dormant tuber. Flowering sized. This will need planting asap upon arrival. Zantedeschia elliottiana is a lovely species from South Africa. 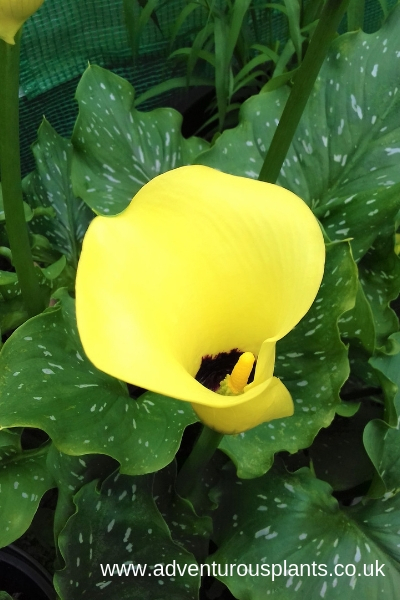 These plants have a bright lemon yellow spathe with a dark interior, and large white spotted arrow shaped leaves. Plants have been hardy for us here in Devon, although the species has a reputation for tenderness. 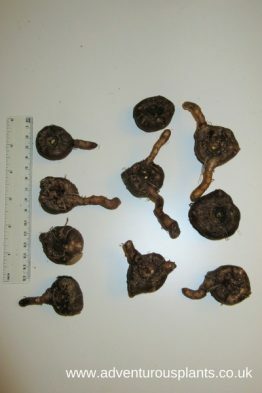 If you decide to grow them in a pot then they will need to be kept from freezing. If planting in the ground ensure a good mulch during the winter. 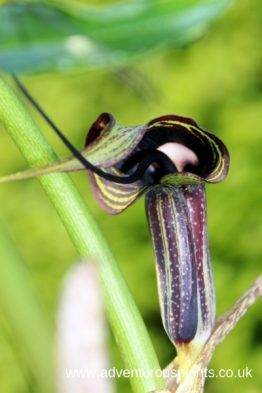 To around 2 feet in height, this makes an unusual and exotic looking plant and is a lovely addition to either a border or pot. 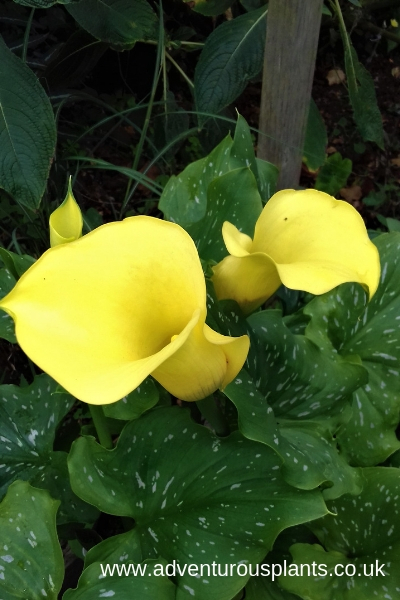 Zantedeschia elliottiana has been widely used for hybridisation, along with Zantedeschia rehmanii, and is largely responsible for many of the brightly coloured cultivars available on the market today. 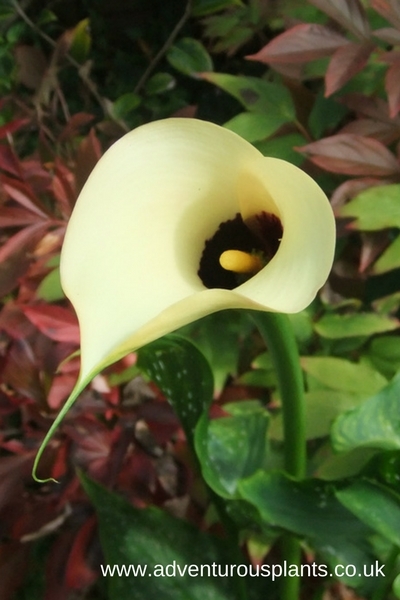 Zantedeschia elliottiana is a lovely species from South Africa. 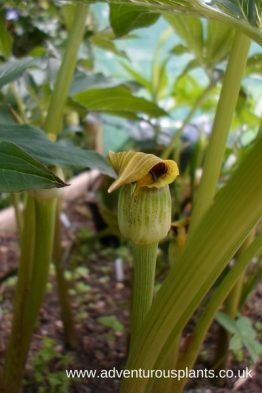 These plants have a bright lemon-yellow spathe with a dark interior, and large white spotted arrow shaped leaves.